Scientific name: Urtica membranacea Poir. 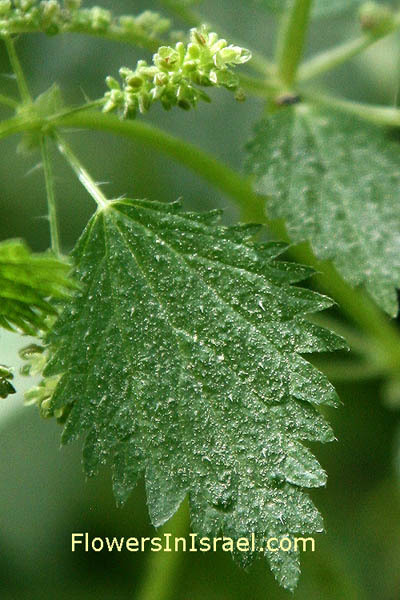 Synonym name: Urtica caudata Vahl, Urtica dubia Forssk. membranacea, membrana, skin, membrane, parchment; skinlike, membranous. caudata,cauda, tail; having a tail, usually referring to the shape of the inflorescence. dubia, doubtfull, in the sense of not following the genus pattern. The standard author abbreviation Forssk. is used to indicate Peter Forsskål (1732 – 1763), a Swedish explorer, orientalist, naturalist. 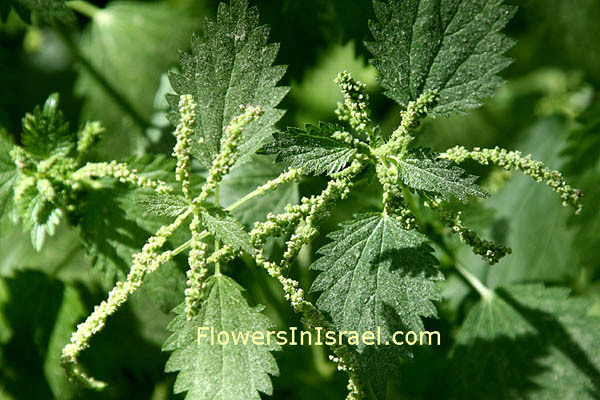 There are four species of true nettles found in Israel: Urtica pilulifera, Urtica urens, Urtica membranacea (Urtica caudata, Urtica dubia), and Urtica kioviensis. They are all common pests of waste places and fields. Even if they escape from destruction, Egypt will gather them, and Memphis will bury them. Their treasures of silver will be taken over by briers, and thorns will overrun their tents.